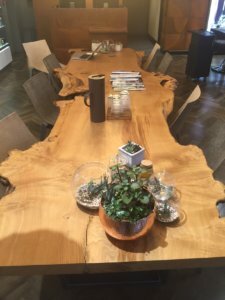 Dining room tables made from trees have no limits, nature has given us such a wonderful fully renewable material, and you can own a truly remarkable item of furniture made from a fantastic slab of English hardwood. Many hundreds of years old, and you have the knowledge that this timber has come from managed sources. The UK is planting more trees per year than are felled . 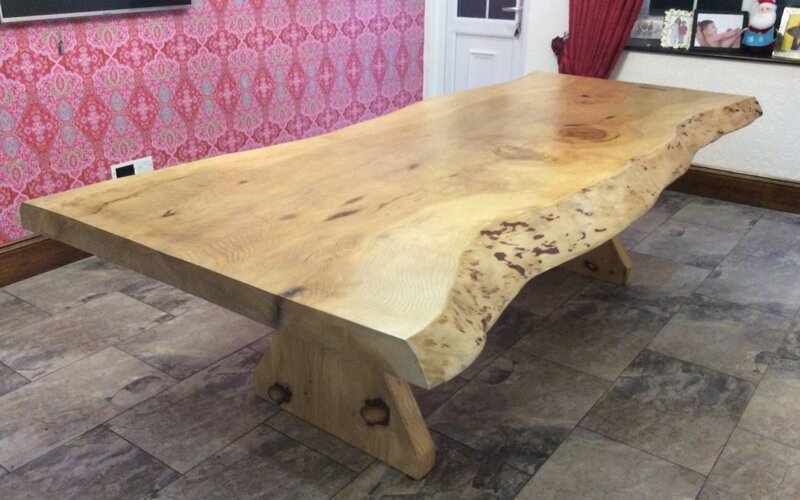 So by purchasing a dining table made from a tree you are helping save our woodlands. 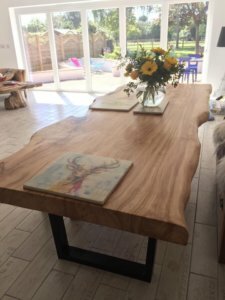 Whether you are after a small four person table made from a small section of timber or a huge conference table made from a majestic slab of hardwood many hundreds of years old we can help. We have nearly 100 timber suppliers at our disposal. Many have been in the same family for several generations and are truly passionate about how they process their boards. All the the timber that comes from these mills has been air dried and kiln dried ready for introduction in to our homes. 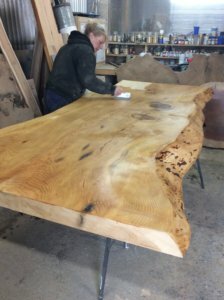 We have a great relationship with the sawyers who process and cut the timber, and we are given information regarding were the tree stood for its life and apparently how old the tree was. This is a fantastic talking point over a special dinner with friends. 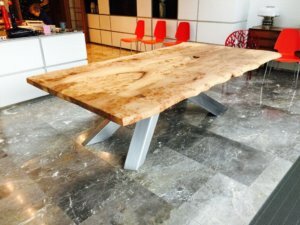 You also have the knowledge that your table is unique to you and only you and although nature gives us this wonderful material no two slices of timber are the same. We have a huge variety of timber in the uk, and unlike tropical timber that sometimes comes from illegal logging ours does not, so look no further choose a table made from fully sustainable trees, home grown trees, processed with care and all made with the knowledge that we are supplying something very special.